When my friend Chris Cappello, affectionately referred to as “Square Seed” in the world of blog, called me to discuss the idea of being a contributing part of a melting pot of stories provided by various friends of his, I was, in no short order, humbled. It was vintage Cappy (the name we affectionately called him during our days of running around in Uncle Sam’s Canoe Club on the USS Rushmore). Case in point, when we were on our six-month cruise away from the US (called a Westpac), he had the idea of filming three of us and himself throughout the journey, documenting the ups and downs of our vida loca. He’s always been the creative type, but what I admire most is his passion for bringing others into the fold. What does it profit a man to gain the entire world, but do it alone? I’ve loved to write stories, or my thoughts in general, since I was old enough to put pen to paper, but I’ve always been greatly aware of my capacity to be as full of manure as anyone else. Years ago, while going through Navy Electronics “A” school, one of my classmates asked, “McCoy, how did you get so cool?” “Years and years of malpractice!” I replied quickly. Despite my best efforts, my propensity for malpractice has yet to fade and I’m constantly made aware of my own shortcomings. I inherited the knack for knowing a bit about everything and I’m a first-round draft pick during any game night involving trivia or knowledge. However, I remember watching Jeopardy! with Cappy and, as the answer was clearing in my head, he’d be saying it. Don’t get too cocky cowboy, there’s always someone faster! So what picture should I paint going forward? My first thought when we talked was a rant on the idea that in today’s world our culture has gotten to a point where comedians are the voice of reason. Not politicians, entertainers, business leaders, athletes, authors or any of the social giants our parents tended to look up to. Nope, we look to Chris Rock to help us keep it real and/or Jon Stewart for a daily injection of recognizing the truly absurd. I could wax poetic on the mental nausea the reality TV shows my wife loves to watch creates in me, or my disillusionment with professional sports and sports in general. Where HAVE you gone Joe DiMaggio? 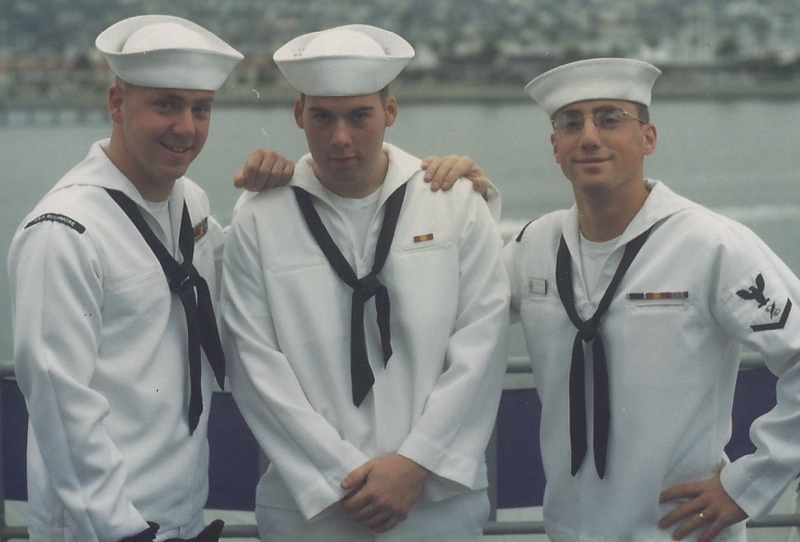 What about reminiscing about my Navy days? What about the last decade I’ve spent in the oilfield or how working to fight pediatric cancer has completely changed my life? What about the greatest moment in my life when I got baptized on my 32nd birthday after spending the first three decades of my life as far from Christianity and the church as I could? Or I could make this into Facebook Part 2 and inundate you with limitless posts about the unbridled love I have for my beautiful wife Lisa, Emma, Ethan and my precious 8-week-old baby girl Kennedy Grace. Before I married Lisa, I didn’t think my life could be better but I also said Ryan Leaf would be a better QB than Peyton Manning. 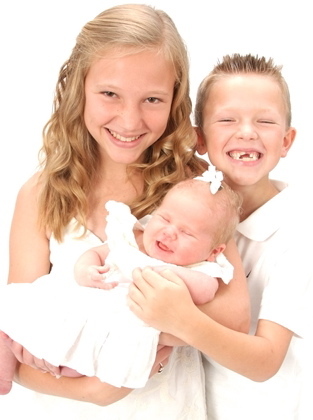 I could write and write and write accolades to beauty that is my family! Emma is a 90-pound blonde-haired cheerleader with a heart of gold who loves to shoot wild hogs while wearing Toms and an Abercrombie & Fitch T-shirt. Ethan bathes in the pure innocence and dreams of an 8-year-old boy…still believing in a jolly fellow who delivers presents, the tooth fairy and magic. He’s also 100% goofball with as contagious a laugh as I’ve ever heard. My wife Lisa is the best person I know. I admire her as much as any person I’ve ever met, known, or heard of, and I’d truly and happily jump in front of a train for her. Last, but not least, is my baby girl Kennedy. She’s my first “biological” baby, but I pause to say she’s my first child. That too, is topic worth discussing. There aren’t words for how wonderful she is. If you’re a parent, you know what I mean. Love has new meaning and the world is a better place. My throat closes, my heart swells and my mind races just thinking about her. Babies are the closest things on earth to God and are a gift from Him. Tiger moms have it bass ackwards, we’re blessed to have them in our lives. There’s the rest of my family and my friends! With all due respect to Mr. Gates, I’M the wealthiest man in the world! My assets are a litany of loving and genuine relationships and no sir, they aren’t for sale and you can’t buy them! So as I close the door on this first salvo of blogging I’d like to share something I saw recently that made me laugh as well as appreciate the humor of others, despite the subject. In the video below, you get to see Pastor Nelms pray at the start of a recent NASCAR event. I hope it makes you laugh too. He and I have a lot in common. I have a smokin’ hot wife named Lisa, call Emma & Ethan the little E’s (they call me “Steppy D” as in stepdad FYI), love Jesus, appreciate the finer aspects of engineering, don’t take the serious things in life too serious and am not so full of myself that I can’t let others laugh at me as well as with me. After all…it WAS a waterfall, bro. sean – thanks for sending the link; it has been a long time. great post and introspection on where we look for sanity. i guess the larger question is whether time is changing, whether we have changed, or life is so different now in the era of media everything is amplified in an era of instant gratification and hype. media is about money not truth and it is a sad state of affairs we have to look for sanity in a show that is designed to mock news. it seems that life has really progressed in the right direction being blessed with a great family (congrats to the birth of your daughter to you both). i remember the HI trip as it was my first on the rushmore and certainly there were some memorable nights (by the way cappy, I think someone is still searching for their dart board). look forward to catching up and it has been all on me for not staying in touch. will shoot u a note via email and look forward in reading the blog particularly about the never again volunteering yourself; man they had some good strawberries though.